This call can either be in person or via Skype/Facetime depending on location. It’s really about getting to know each other. I’ll take your details and we can discuss your preferences, interests and your vision for your postnatal retreat. I will also share some helpful techniques and tips. We can also plan what you would like to do in your prenatal visit. This is a longer in person visit to your home (3hrs approx.) . It’s great opportunity for me to get orientated to your home, so that when I do start the post natal visits I know where everything is and I don’t need to interrupt your baby bliss time wondering where the teaspoons are. We can also do some food preparation, preparing dry mixes or food for the freezer. 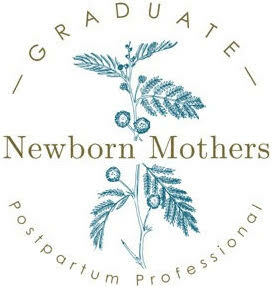 Education about postnatal food and traditions including discussion about postnatal foods and traditions from an Ayurvedic perspective and how to implement them. Or why not enjoy a luxurious Massage to help with those pregnancy aches and pains. Twelve Post natal visits (3 hrs each approx.). Massage, Reflexology and Reiki. Instruction in Self -Massage and simple baby massage. Cooking, fresh meals and delicious teas to keep your strength up, meals for the whole family, veggie prep or further freezer stocking. whatever your needs are. Light Housework such as folding clothes or the washing up. A listening ear, some company and someone to hold the baby while you jump in the shower or take a much needed nap! Full of hand-picked useful postnatal goodies. Including Belly binding, Organic Black Sesame oil for Massage and useful books and resources. And there is more …..
Access to my exclusive Facebook group for new mothers. To be taken after the postnatal visits have finished, and within 6 months. To be taken between six months to a year post natal. Via Skype/ Facetime or in person depending on your location, focusing on life balance and goal setting.